Sweet Fancy Treat: Transformer. Prada Transformer. 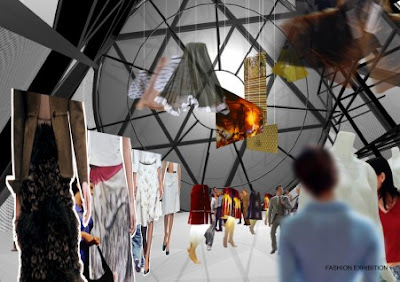 Oh dear, one of my greatest joys on this planet must be when fashion and archiecture are brought together. Or architecture and fashion. It's like one big custard pie and I can't decide which one is best. So, im my quality of, ahem, architecture student, you can easily picture me standing with my eyes glued to the computer screen and my finger pressing anxiously on the Page Down button. So you see, it's moments when giants from both these fields come together to produce fabulousness that are uplifting. In this case OMA and Prada. Yes. Just check out the long list of Prada projects on OMA's website. Today we'll focus on the Prada Transformer. Ah, and more pictures and explanations to go with that too. Good. The Prada Transformer is a tetrahedron that, when rotated, each side offers conditions for a different program. 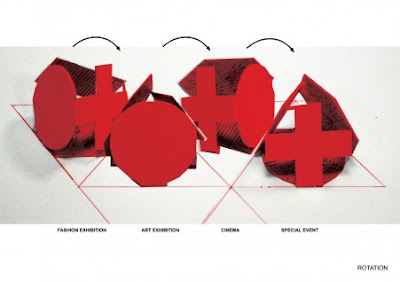 From OMA: "The programs envisioned include the Prada Waist down Exhibition, an art exhibit by a world renowned artist and a movie festival. 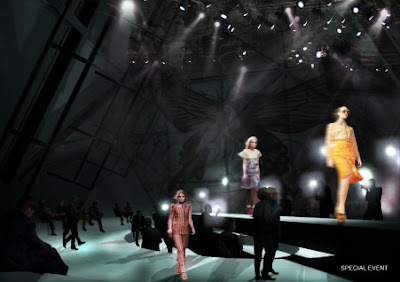 The final closing event of the pavilion will entail a Prada fashion show for 500 guests." Four different façade and floor plate configurations are available. Floors become ceilings and viceversa. 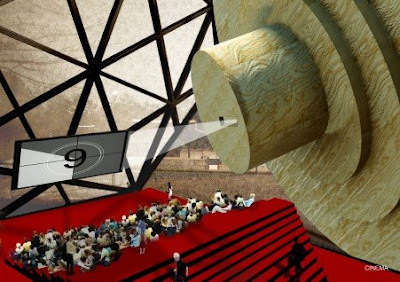 Each configuration is based on steel frames in the shape of a hexagon, a cross, a rectangle and a circle. The entire structure will be wrapped in a translucent membrane. 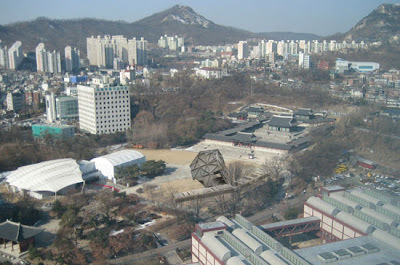 The Transformer is located in South Corea, Seoul, adjacent to the traditional 16th Century Kyounghee Palace. Quite the controversial choice if you ask me. The highlight of all this is that the Prada Transformer will open to the public on the 25th of April to host the exhibition "Waist Down" by Miuccia Prada, focused on skirts. 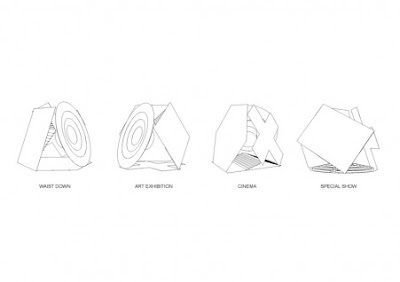 For the following months, The Transformer will host a cinema festival and other contemporary art exhibitions.